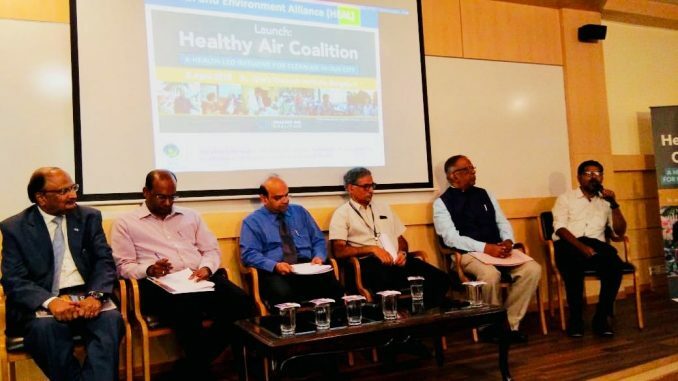 To address the looming air pollution crisis in Bengaluru, Health & Environment Alliance (HEAL), a leading European non-profit organisation, in collaboration with Global Climate and Health Alliance (GCHA), launched the Healthy Air Coalition on Friday, 5th April, at the St John’s Research Institute (SJRI). SJRI is a key partner of the initiative. According to a study published in the environment journal Lancet Planetary Health, air pollution in India leads to at least 1.2 million premature deaths each year. The 2018 study attributed one in eight deaths that occurred in India in 2017 to poor air quality and exposure to ultra-fine particulate matter. The study further concluded that the average life expectancy could have been 1.7 years higher in 2017 if air quality remained within the prescribed safety norms. In comparison to the cities in north India or the Indo-Gangetic Plain, little has been done about the air quality crisis and its associated impacts on people living in the southern part of the country. In Bengaluru, the problem of poor air quality is much more localised and concentrated at a certain height, resulting in high personalised exposure levels. 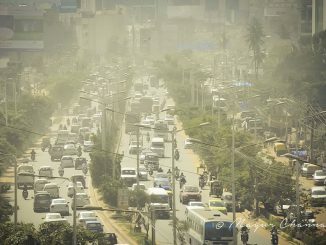 Bengaluru’s pollution is a result of local pollutants, particularly emissions from transport and construction sectors as well as poisonous fumes from waste burning. The city’s poor air quality is an imminent public health crisis; cases of child asthma, upper respiratory infections, chronic pulmonary disease, as well as heart attacks in young people are on the rise. As a result, health researchers, cardiologists, pulmonologists, public health institutes and patients, concerned about the health risks from Bengaluru’s poor air quality, came together to launch the Healthy Air Coalition today. D Randeep, Additional Commissioner for Public Health and Welfare, BBMP, inaugurated the session, and participated in a dialogue on air pollution and its health impacts. Ricky Kej, Grammy Award-winning composer and United Nations’ ‘Global Humanitarian Artist’ awardee, will spoke at the session. The launch saw the kick off of a network of 40 fixed air quality monitoring stations that the coalition will be setting up in spring 2019. This is with a view to obtain more accurate data on air quality. These monitors are placed at particular hot spots in the city to determine the range of exposure experienced by groups most at risk. Fifteen of the 40 monitors are currently operational. Real-time data from the devices can be accessed at openmap.clarity.io and www.unmaskmycity.org. The coalition is also being launched as a part of the growing global movement of health professionals on clean air under ‘Unmask my City’, an initiative by doctors, nurses, public health practitioners and allied healthcare professionals to improve the health of patients and communities. Air quality monitoring in Bengaluru has previously been inadequate, with only 10 official monitoring stations operating in a city of 12 million people. This system does not record data in the city’s pollution hotspots, and does not capture the exposure levels of the population adequately. While gauging pollution levels, it is not always enough to measure the emissions released by one particular activity. Once released, air pollutants react with other substances in the air and form complex mixtures. So what is actually in the air may be quite different from what is being released. For instance, ground-level ozone is not emitted directly into the air, but is the result of a chemical reaction of nitrogen oxide in sunlight. Moreover, air pollutants travel over long distances. Hence the level of pollution in any one place may vary over time. Pollutants can even cross continents. The pollutants in the air of a city may not be released in the city itself. It may come from a neighbouring city or country. Monitoring stations provide information on the short and long term exposure to pollutants and related health impacts. Engagement and capacity building of fellow health professionals on air pollution and health, through events, articles in specialised publications, exchanges on good practices etc. Expertise input into the design and framing of measures for air pollution control and reduction. Another step in this regard can be to urge the State Pollution Control Board to publish the city-action plan on air pollution on its website, and hold a consultation with the key stakeholders from state departments of public health, environment, pollution control along with the relevant authorities at the corporation level. This will also include those responsible for implementing activities in the public health and welfare division, as well as health professionals and concerned citizens. The initiative is to change people’s awareness, so that they identify in their immediate environment (home, work, commute) ways in which the pollution burden can be reduced, and make lifestyle changes, influencing others to do the same. 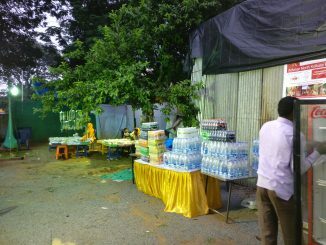 What’s Bangalore talking about? Catch some of the most important headlines from your city in our weekly news wrap here. The Nagavara edition of Cycle Day was organised in partnership with the university team from Presidency College. The team will continue to host the upcoming editions in February and March as well. Air pollution has already hit Bengaluru, but no one is complaining because of lack of awareness. What will happen in next five years, if no measures are taken to curb air pollution?